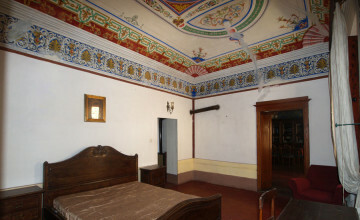 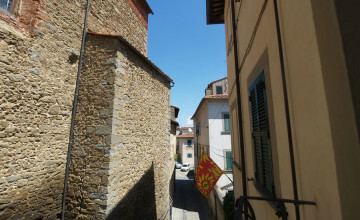 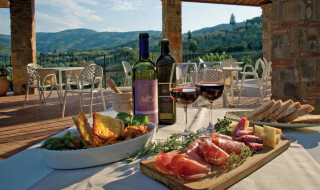 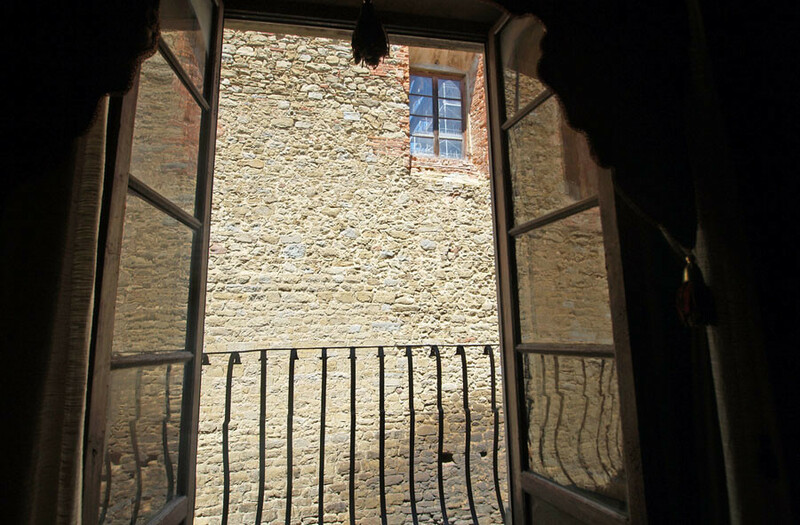 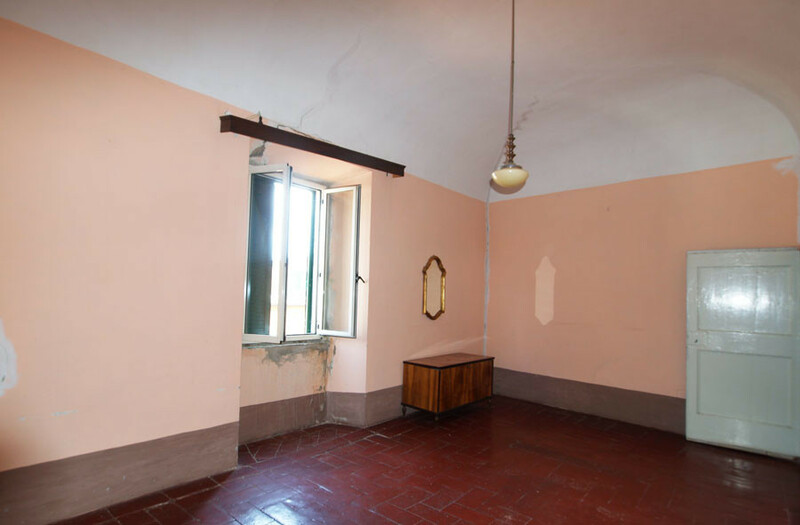 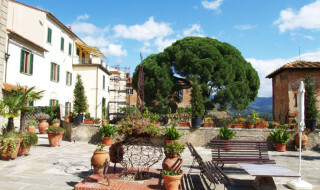 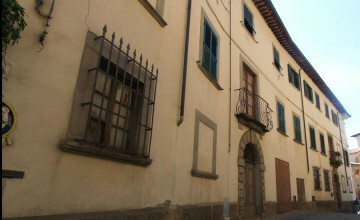 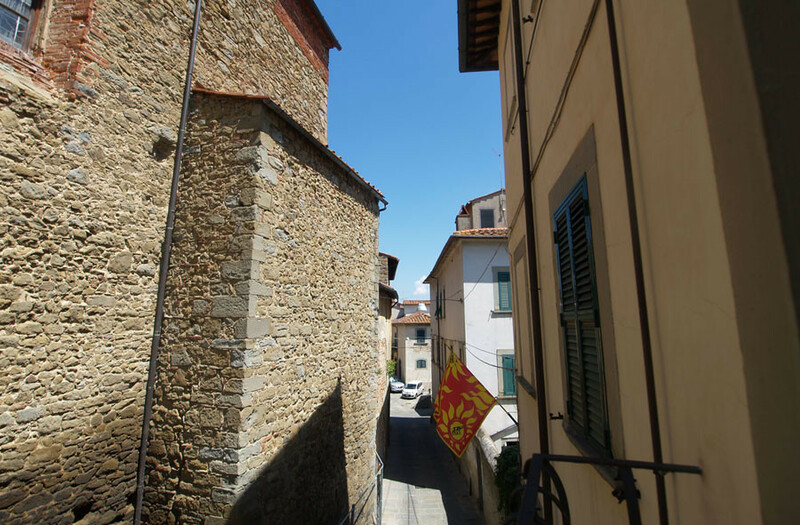 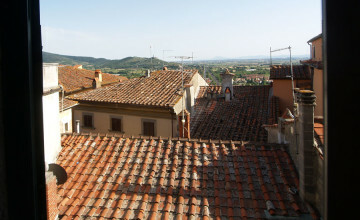 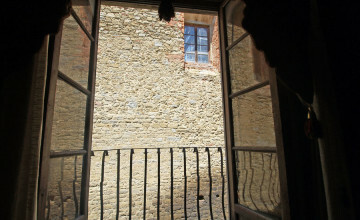 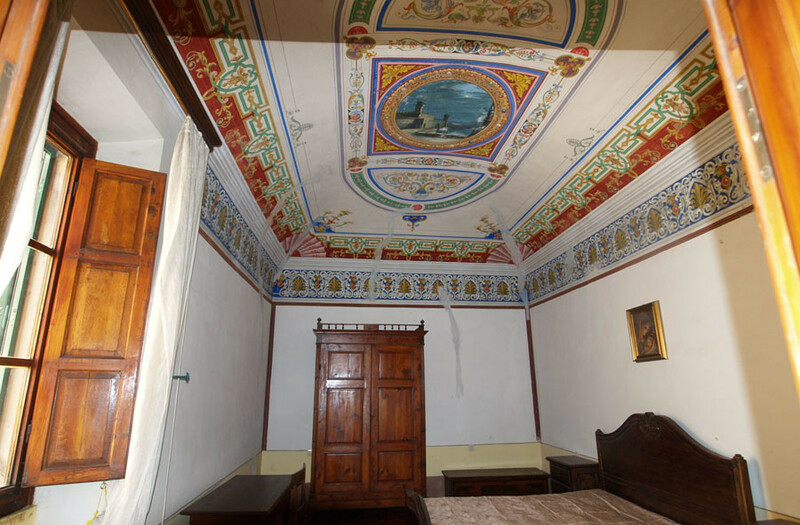 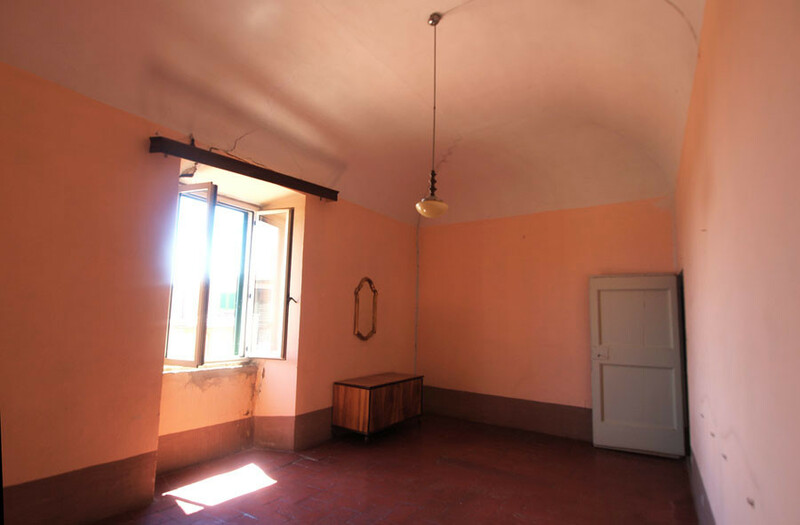 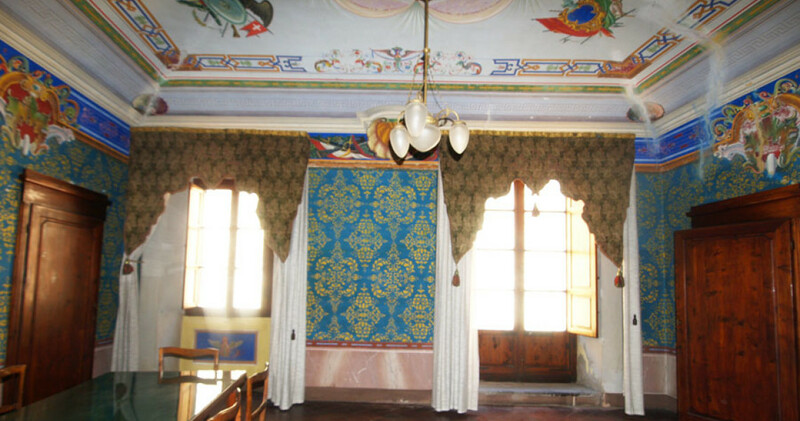 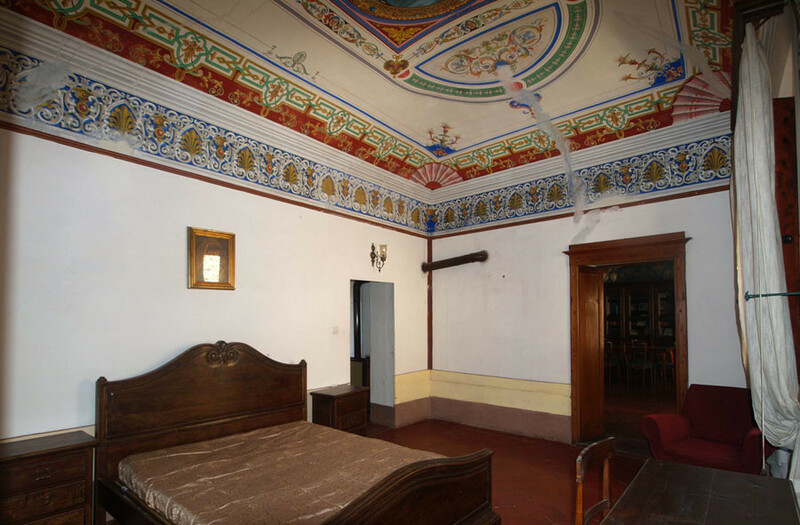 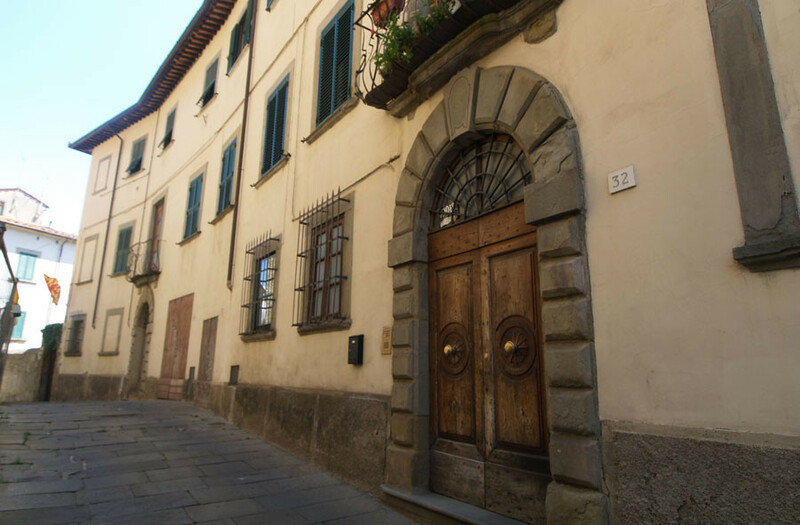 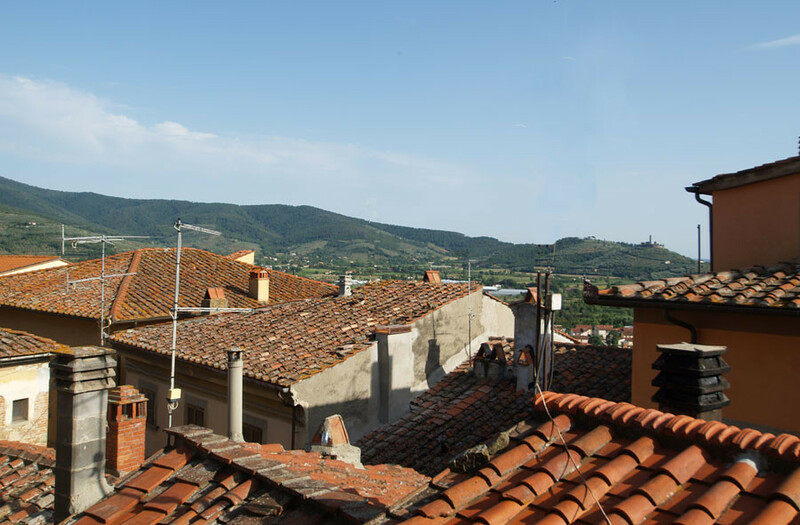 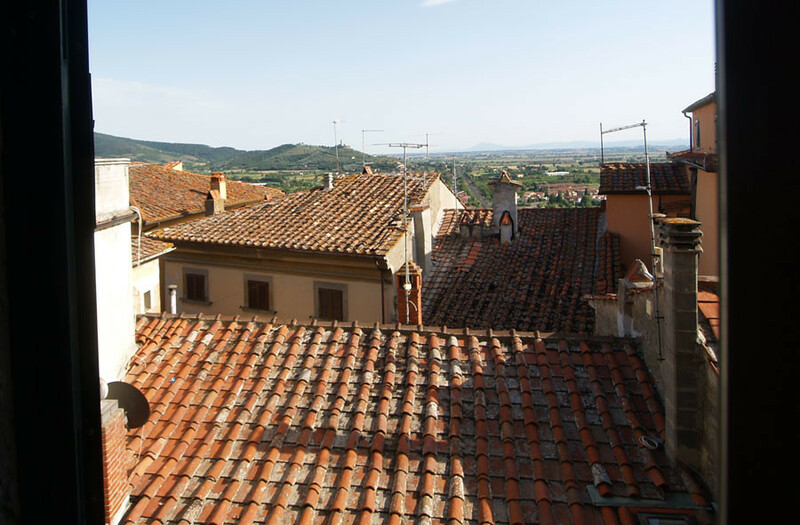 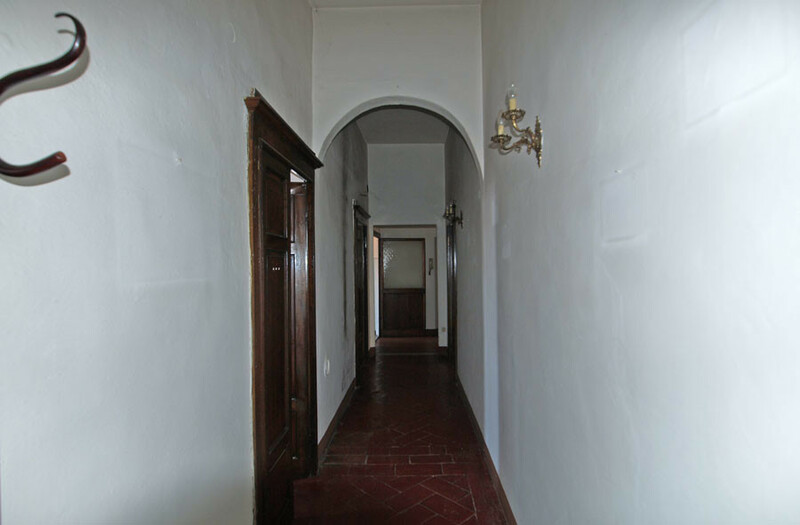 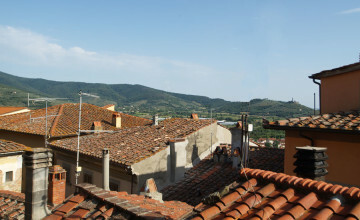 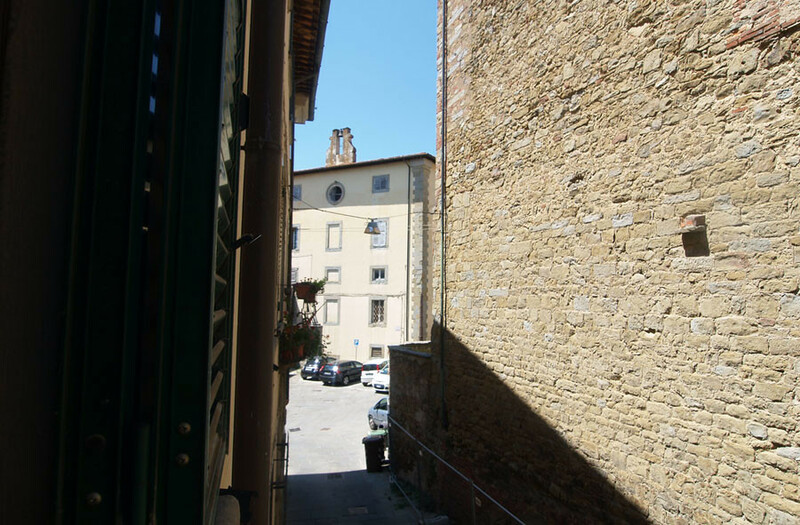 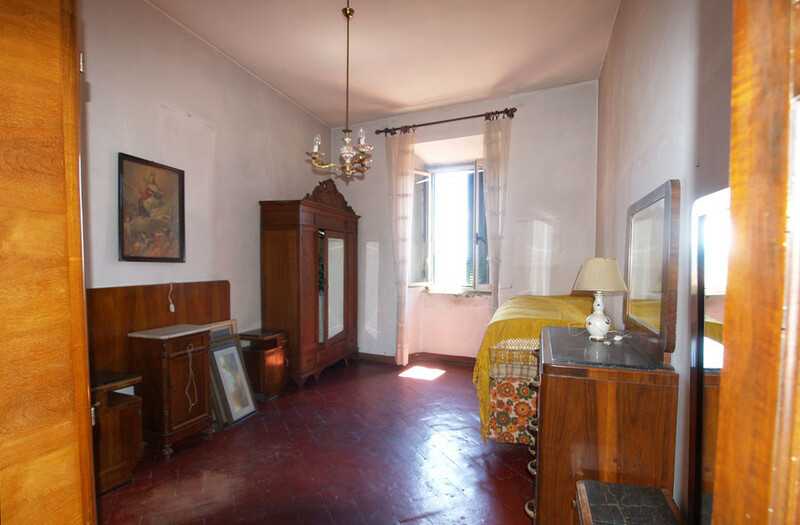 The apartment is located on the first floor of Palazzo Salvemini, built in 16th century and located right in the centre of Castiglion Fiorentino. 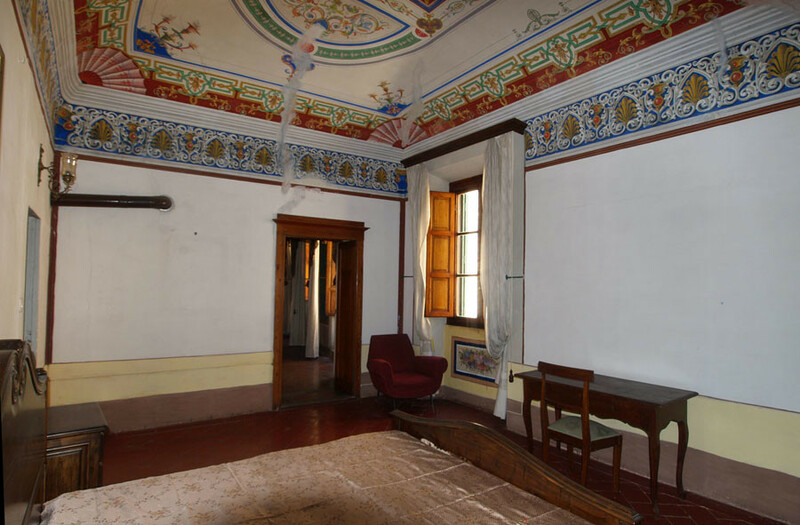 If you like grandeur, colourful and luminous environment with plenty of history, this is the right place for you. 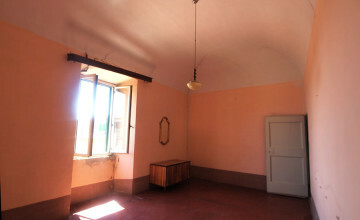 The apartment measures approx.. 140 sq.m. 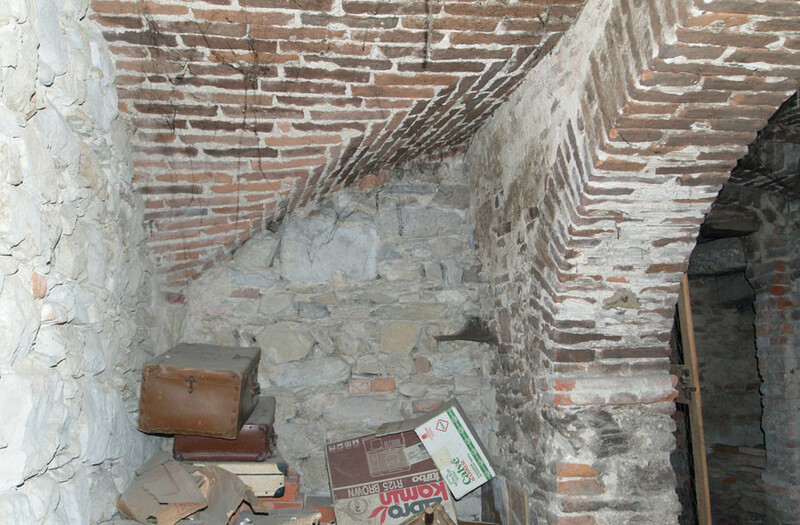 of living space plus very old and fascinating cellars. 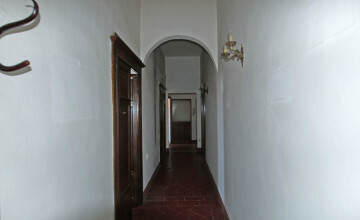 The entrance opens to a long corridor with rooms on each side. 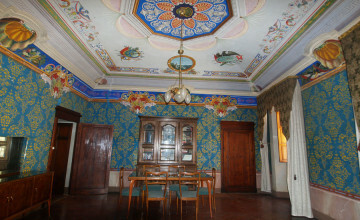 The reception areas are located on the left hand side. 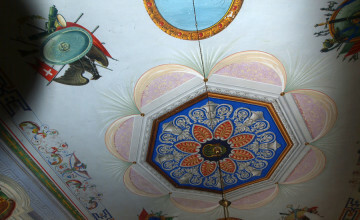 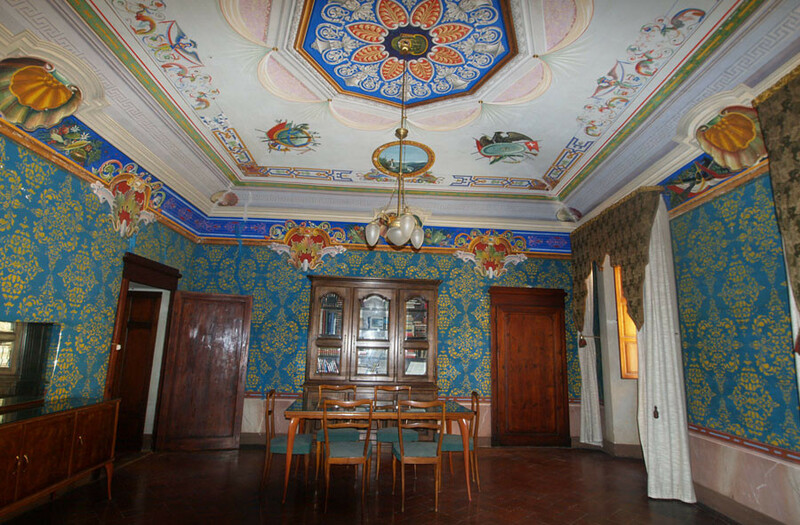 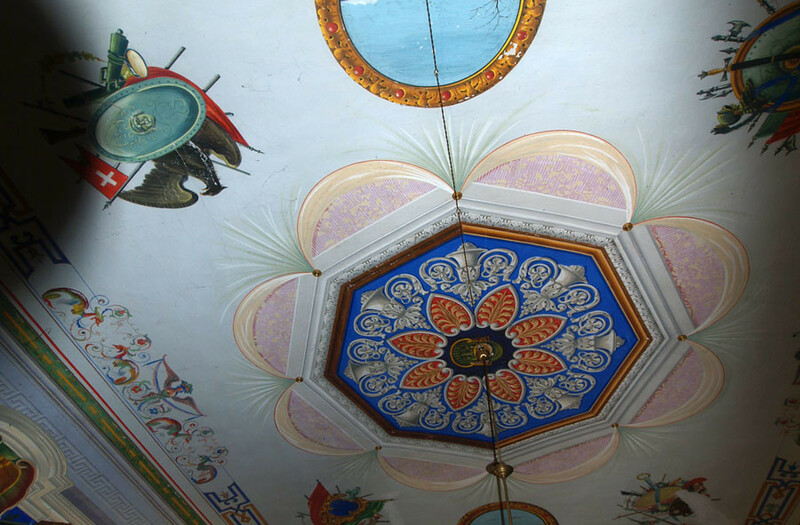 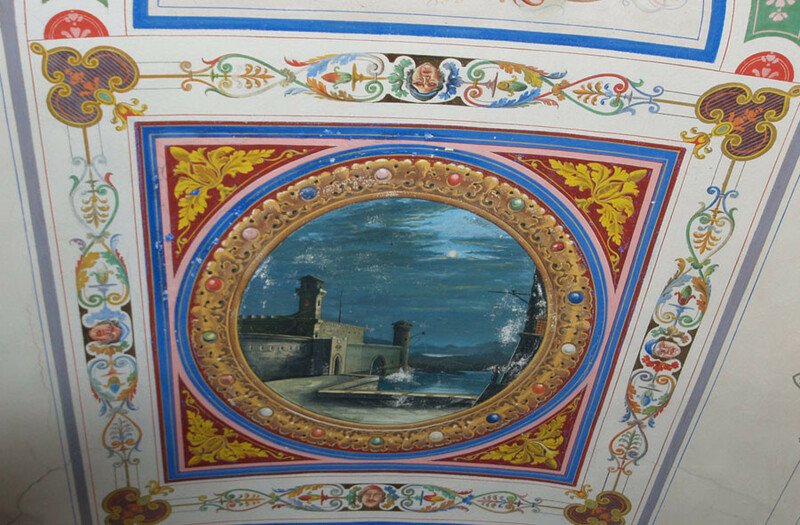 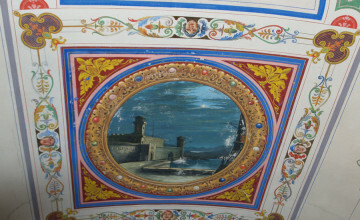 There is a kind of a waiting room with vaulted and frescoed ceiling featuring the coat of arms of its first owners. 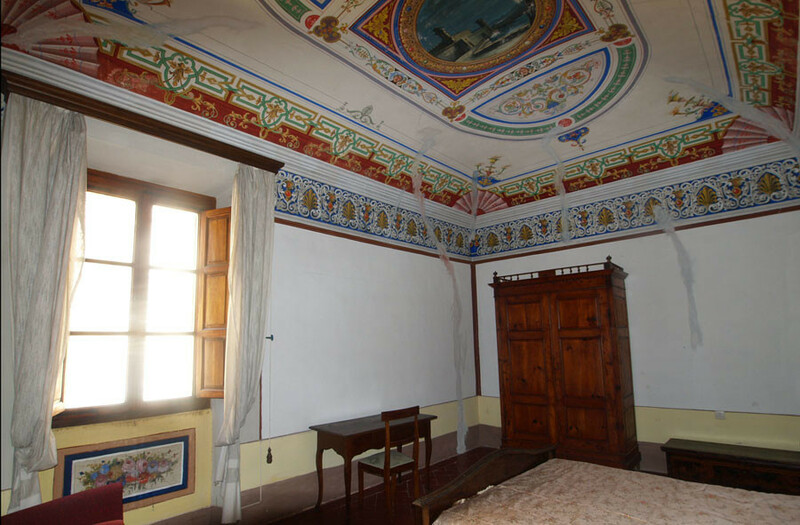 From here you enter into the large sitting room with fire place, two large windows, balcony and frescoed walls and ceilings, which are a real work of art. 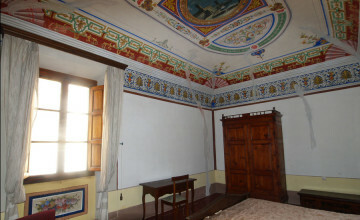 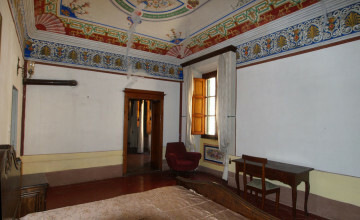 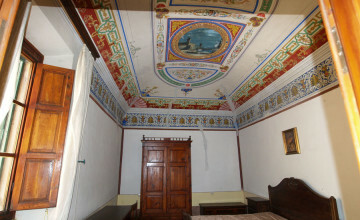 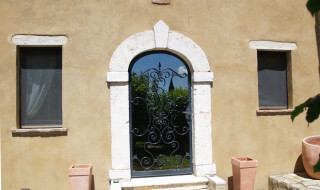 From here another door leads to the second sitting room with vaulted ceiling also featuring beautiful frescos. 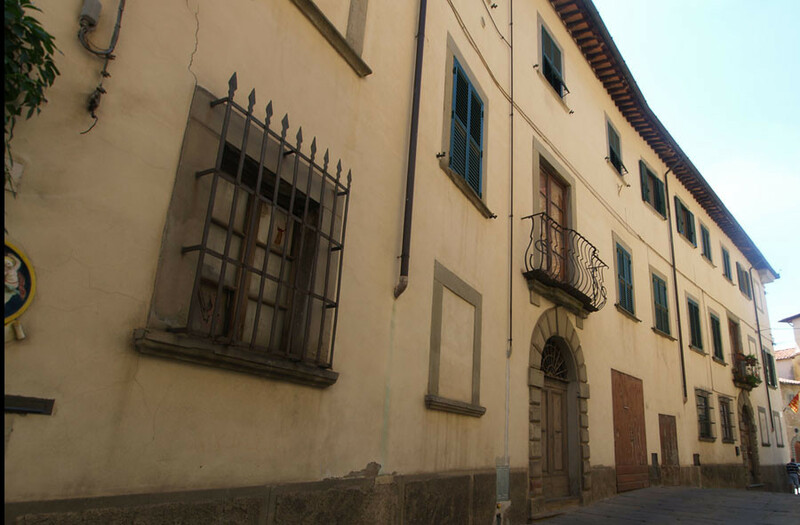 From this side the windows overlook Sant’Agostino church, presently under re-construction, the Piazza Sant’Agostino and ancient Via Adimari. 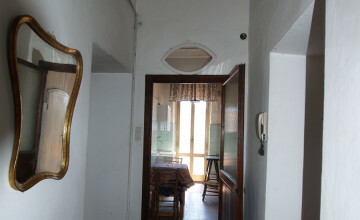 Both sitting rooms can also be accessed from the corridor. 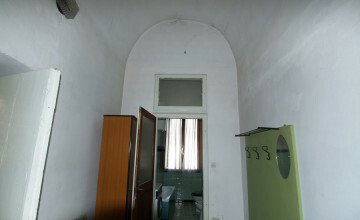 A large bathroom is located at the end of the corridor. 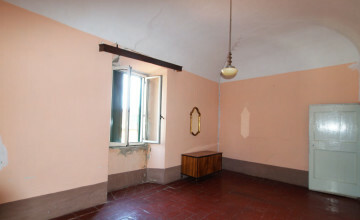 It has a large window overlooking the below, well maintained garden of the neighbours. 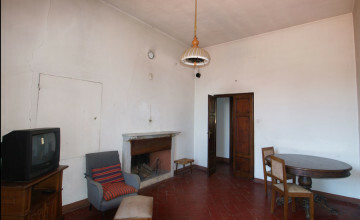 There are two large bedrooms, dining room with open fire place and kitchen on the other side. 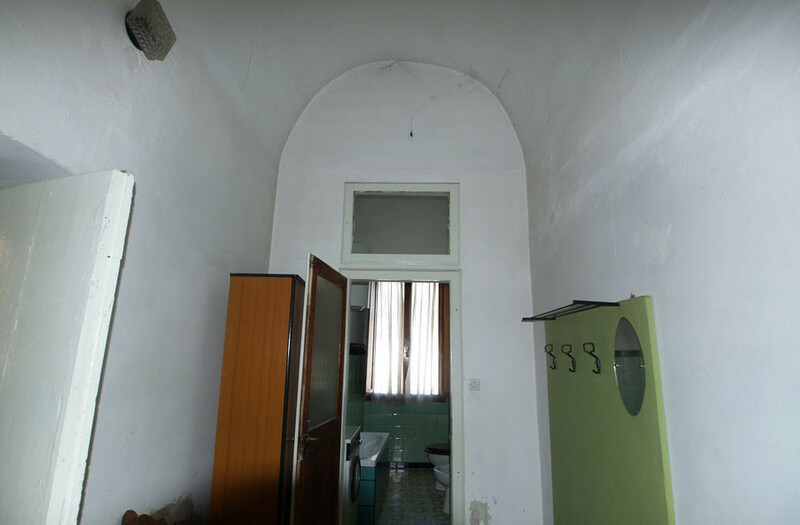 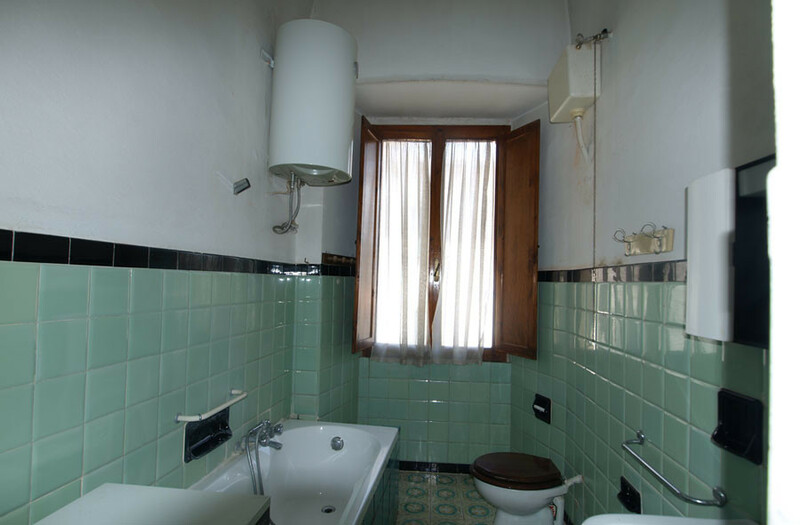 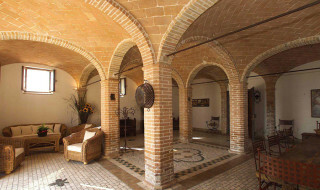 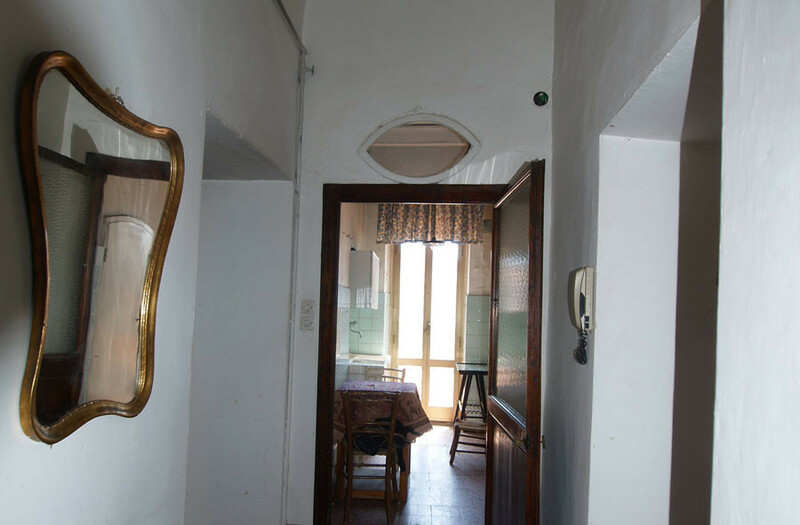 The apartment features original terracotta floors and also original internal doors. 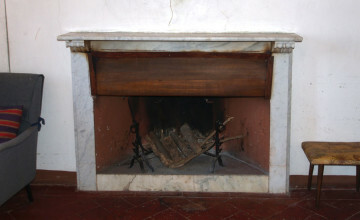 It is in good condition, but obviously needs some restoration works, particularly in respect of the installations and heating, which does not exist since only fireplaces were used in the past to keep the place warm. 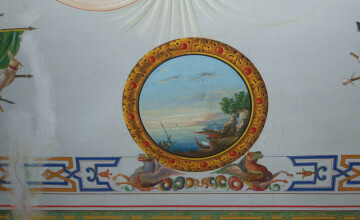 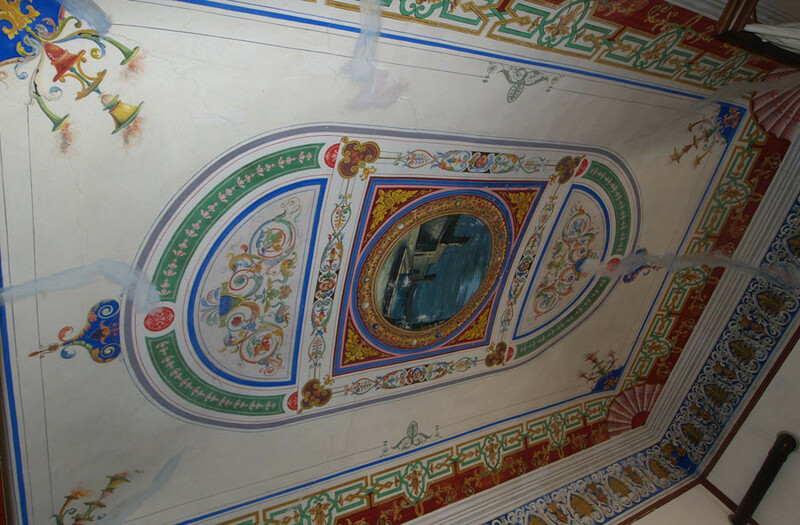 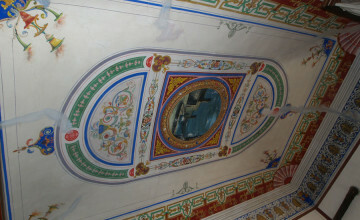 The frescos are very well preserved and need to be re-touched only in very few places. 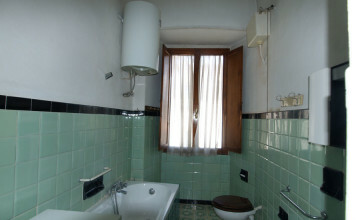 The apartment has electricity and city water. 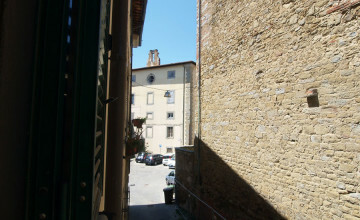 City gas and telephone line are present in the building and would have to be connected. 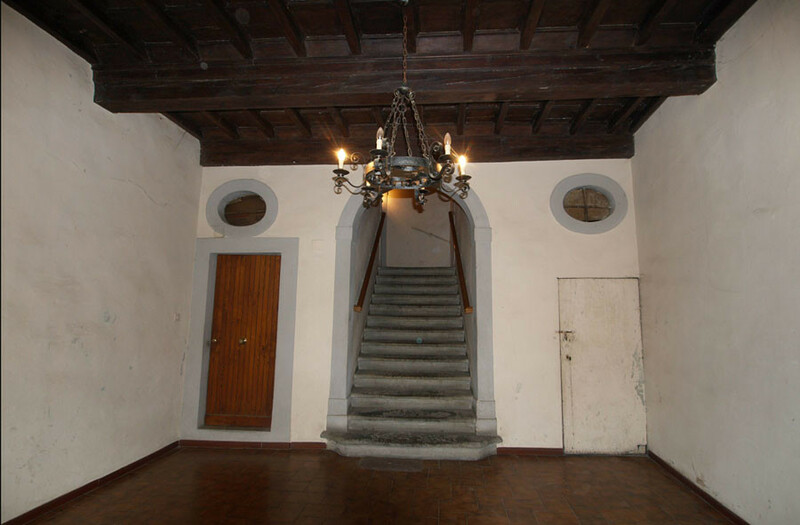 The property also includes the cellars, with accessible from the building’s entrance hall on the ground floor. 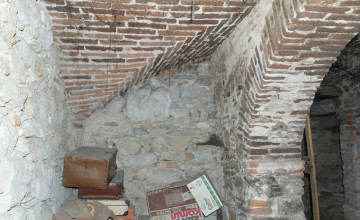 They are very suggestive and most probably are the oldest part of the building. 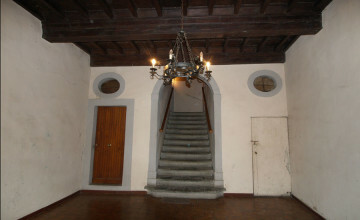 A stone staircase leads to the lower ground level with three compartments with beamed or vaulted ceilings, original arches and rock on which the building was built. 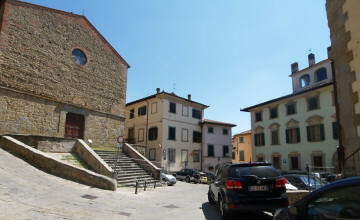 The position can be reached easily by car with some parking spaces available nearby. 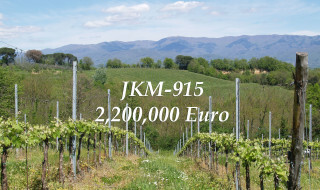 In less than five minutes you can reach by foot the main square of the town, all services and local coffee shops, wine bars and restaurants.